My view on life is simple. Life is not about finding yourself, it is about creating yourself. For me, life is like an enormous map with my purpose, a giant ‘X’, already marked on it. The reason that life is so confusing and difficult at times is that this all-encompassing map is mostly unwritten. I can see the mark but I can’t see what is between me and it. As a result, my life has become about filling in my map. My experience in Antarctica proved to be critical to achieving this. Note: This blog post provides background on Antarctica itself, this other post covers how to get to Antarctica. Prior to my trip, I had figured Antarctica was basically an enormous iceberg at the bottom of the world. I knew it was melting (Al Gore told me so) and I realized that penguins lived there but polar bears did not (polar bears lived up north, or so said Morgan Freeman in March of the Penguins). I knew it was extremely cold and I had heard some crazy stories about Shackleton and more recently about marathons taking place on the White Continent. I could point to it on a globe but it was still largely a mysterious place for me. It existed as a fog in my mental model of our planet. Luckily, I learned a lot during my adventure down south. Antarctica is not actually a giant iceberg. Just like every other continent, Antarctica is a land mass. At its foundation, it is rock. In many parts, that rock is visible. In some (although limited) parts the ice is a mile or more deep and the rock is hidden. From a political perspective, Antarctica has no owner. It is governed by the Antarctic Treaty System, a document constructed by the United Nations and was signed by many (although not all) countries in the world. In this way, it is similar to the Moon. Historically, the way to conquer land was to go there (many people say discover, but I think this is inaccurate as it ignores the native people of any given place), plant a flag, send prominent governments notices of ownership and then defend the land if someone challenged ownership. With the advent of space flight, this system stopped working. The United States, being the only country of the time who could access the moon, could have easily just planted a flag (which we did) and then alerted the world that the Moon now belonged to the U.S. Instead, the U.S., under heavy pressure from the international community, opened for signature the Outer Space Treaty which stated that despite historical precedent for land ownership, the moon would remain neutral and unowned territory. Prior to my trip to Antarctica, I hadn’t known about the existence of any of this. This bizarre set of paperwork filled in a major unknown area of my map. So who lives on Antarctica? The simple answer is not very many people. There are scientists from France, Chile, Argentina, England, the U.S. and several other countries but none of them have established cities or towns. Instead, they have small scientific bases. (You can check out Shackleton’s hut on Google Maps) Some of these bases are lived in year-round but none of them are open to lodging for the general public. The bases exist to study climate change, wildlife and the effects of solitude and extreme conditions on the human body. Some bases are armed (one could say militarized) but armed conflicts are extremely rare. The scientists do not live luxuriously but they are not without modern technology and amenities. For example, most of the arbor population of the continent exists in these bases as office plants. Modern day ice breakers make the story of Shackleton an unlikely adventure to be repeated. The scientists have some Internet access (satellite based) and even have a yearly film festival between bases. At its core, modern day Antarctica is an entire continent dedicated to science. In that way, it is the biggest and most isolated laboratory in the world. Other Than Scientists, What Is in Antarctica? Many years ago, the primary value of Antarctica was in harvesting its natural resources. This consisted mainly of whales and seals. The isolation of the frozen continent caused the animals to be more curious than cautious when early people came armed and exploring. 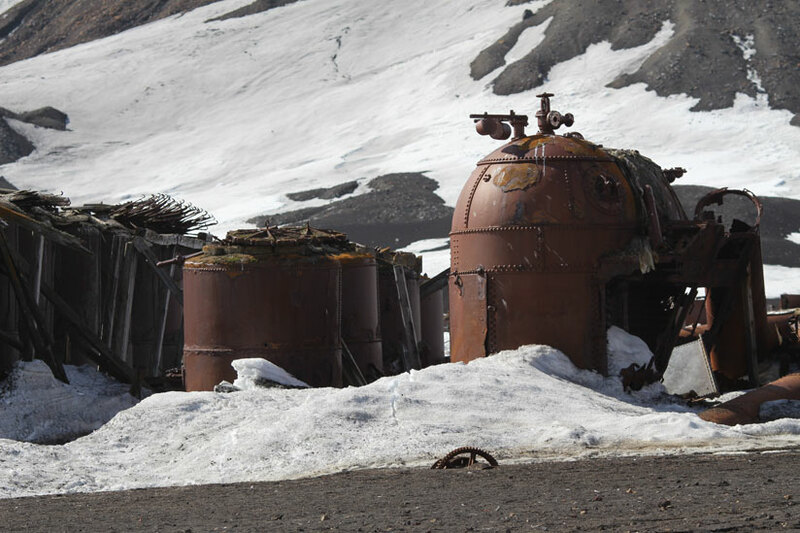 The shells of the factories used for processing the furs and oils of Antarctic wildlife are still present on the island continent but they are mostly no longer in use. Once a building is constructed on Antarctica, it is rarely ever deconstructed. 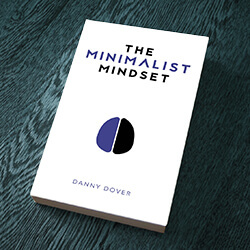 Doing so is almost always cost prohibitive. As would be expected given the terrain, Antarctica has had many ship wrecks. Given the weather and temperature, these ships rust quickly but decompose very slowly. Many of these ships are now protected historical sites and are points of interest for visitors. The weather on Antarctica is even more bizarre than I had originally understood. Technically, Antarctica is defined as a desert as it has virtually no rainfall (it freezes). Like the movies, it really does have unbelievably cold temperatures (the lowest ever recorded naturally occurring temperature on earth unsurprisingly took place on Antarctica. It was an unprecedented −128.6 °F which is −89.2 °C.) What I didn’t expect was that in some spots, it also be very mild. When I was there, the temperature ranged from approximately -20 °F (−29 °C) to 35 °F (1.7 °C). There were times when I had to wear every layer I had brought and there were other times when I could wear a short sleeve shirt without issue. The part that surprised me the most about Antarctica, and the part that will last in my mind, was just how beautiful it was. Simply stated, Antarctica is the most beautiful place I have ever been. It is unspoiled, full of wildlife, full of massive mountains and on nice days has views that seem to last forever. In the same way that a dirty room can clutter your mind, a clean and magical place like Antarctica can help open your mind and take it to new places. Antarctica far surpassed my urges for exploration. As you will read in my next post about my mountaineering adventures, the White Continent took me to a completely new world. Check out this post on how I got to Antarctica. P.P.S. I started to get into photography right before I left for this trip. All of the photos in this post were taken by me. Unbelievable looking pictures. I hope to make it there while it’s still there! I feel extremely honoured to have shared some of those moments/realisations of Antarctica with you and all the wonderful friends we made on that trip!!! I see you made it to the post office! Did you send anything from it?